Various guides and ecommerce resources to help you manage and scale your online business. The Walmart Marketplace is one of the hottest sales channels for online sellers. We’ve put together a guide with expert tips to help you take advantage of this surge in popularity. It’s time to build a game plan to cultivate repeat buyers, avoid packaging mishaps and earn stellar feedback. Use this guide to strengthen your shipping strategy and make this your most profitable holiday season yet! Running out of ideas for your social marketing strategy? We’ve compiled an exhaustive list that covers everything from marketing to customer service on various social media channels. In the first installment of our Amazon Expert Series, John Lawson discusses how he successfully marketed his small ecommerce business. Learn from his strategy. In Part Two of our Amazon Expert Series, Pat Petriello, a former Amazonian and veteran seller, talks about the benefits of sponsored ads and FBA. This is a great read for those sellers looking to take the next step. Having a hard time deciding where to sell your products? This infographic will help you choose the best options based on your product type. Make this year your most profitable one yet. Use this guide to conduct an annual review, analyze last year’s data, and make more informed business decisions. Buying an online retail shop is a great way to either enter the ecommerce industry or expand your product offering. Here’s a step-by-step guide on how to buy one. Developing a solid dropshipping strategy and product line is key to success. Start with this by-the-numbers approach to choosing the best products to dropship. One of the biggest opportunities for online sellers is mobile buyers, and eBay is arguably one of the top players in the mobile commerce space. Make sure your product listings are up to par with these practical steps. Packing verification can save your business time and money. Here’s a guide with tips on how to add it to your shipping process without hassle. 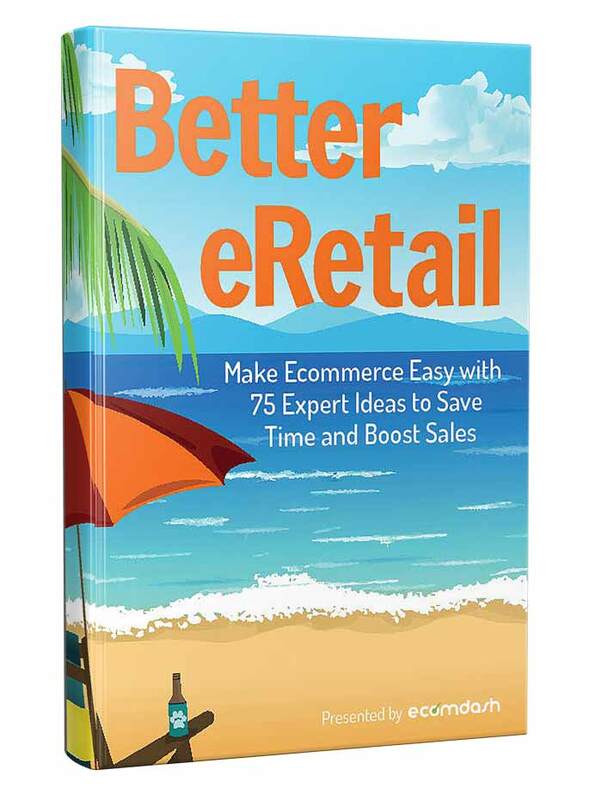 You must be familiar with the requirements to effectively list products on new marketplaces and shopping carts. That’s why we’ve organized an extensive table for the most popular sales channels. Get ecommerce tips straight to your inbox!